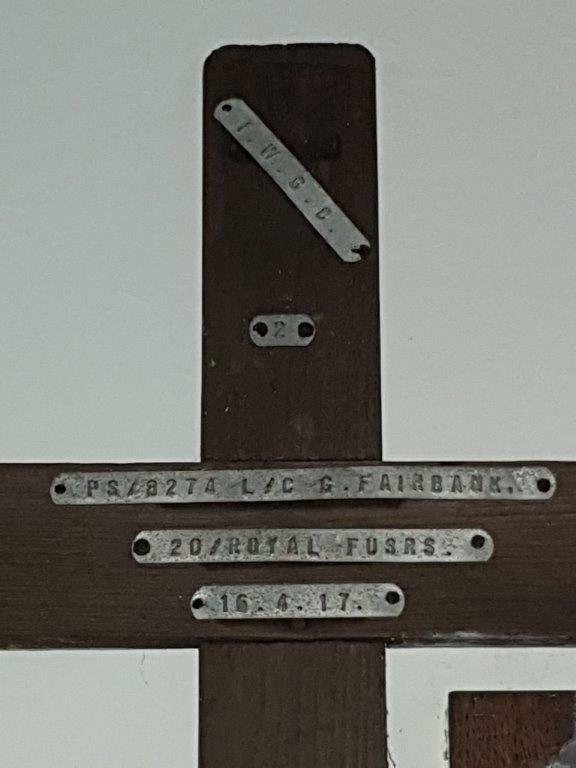 Mounting to wall: Centre of cross attached to wall but not sure by what – no damage to cross seen from the front. Finish (varnish, paint, oiled, unfinished etc): Dark brown wood stain. 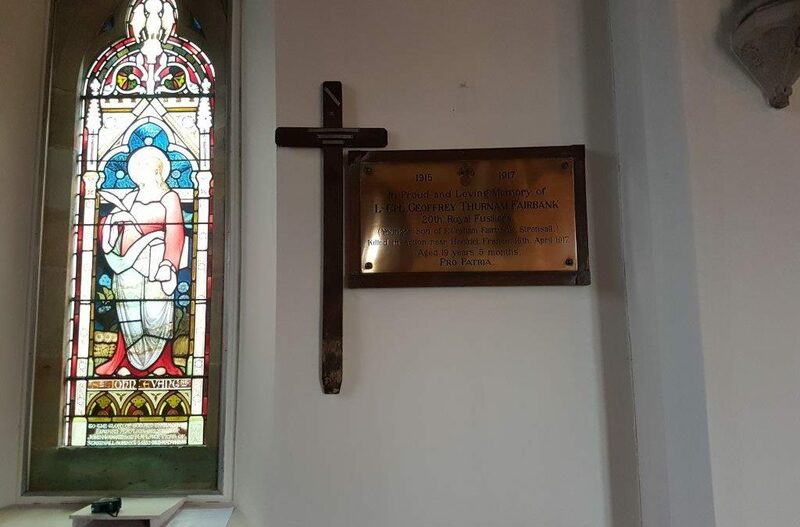 Condition (cracked, paint peeling, woodwork, damage etc): Very good condition. 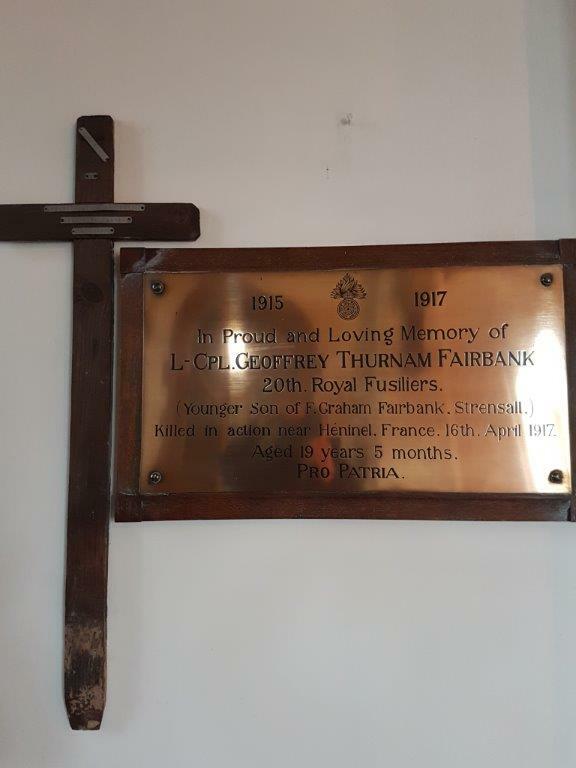 Notes and observations: (optional) Cross next to a brass plaque relating to L/C Fairbank on south cancel wall between window and chancel arch – see photos.